The 7th Annual Health 2.0 national conference will be held in the heart of Silicon Valley. It is 2 1/2 days and the ‘carefully curated lineup’ will feature the role of consumers, big data and health care marketplaces. The Health IT Startup Showcase is staged like ‘The Voice’, Tim Kelsey of NHS England is a speaker and the demo ‘bake-off’ Launch! is on Day 2, and Day 3 features Health 2.0 Around The World. Information, agenda, registration link. This evening meeting sponsored by the 3,000+ member Health 2.0 NYC concentrates on the impact of smartphone apps and their use in health tracking. 95% of all downloaded apps are never used more than once. This event explores what factors make a behavior-changing app effective in helping people to be healthier, and what makes an app ‘viral’. Two KA4HL Rock Stars will discuss app design and then up to 10 apps will present and be judged on points. Applications are still open. Watch this spot for further information on presenters and format. Further information is on Meetup (registration on Meetup and for the group is required for access) but final registration and information will be in a week or so on Eventbrite. Health 2.0 NYC events average about 100-125 attendees and you can always expect a lively presentation, bountiful networking plus drinks and snacks. Editor’s note: TTA is a media sponsor of and Editor Donna is a co-organizer/event producer/social media chair/bottlewasher for Health 2.0 NYC. 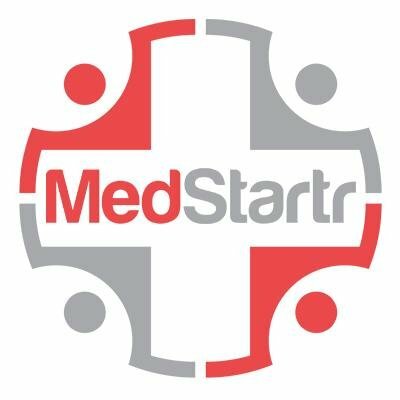 Medtech Forum event on 6th August in London, and it’s free! The first full meeting of the London Health Technology Forum has been hastily arranged for 6th August at the offices of Covington & Burling, the international legal firm. There is no charge for attendance, and our sponsors have kindly laid on a drinks reception after the formal part of the evening – how could you resist if you will be in London then? Me – I will be talking about the challenges of evidencing the benefits of medical technology, with particular reference to this and other reasons for O2’s recent withdrawal from this market. And thirdly a well-known commentator on digital health devices has been invited to be our third speaker – we are awaiting his confirmation. Talks will be short, leaving plenty of time for debate and questioning. The programme kicks off with arrival and networking from 6pm. Proceedings will end at or before 9pm. More details, and how to book for this event, are here. Note that the maximum the room can handle is 40 people, so book early to avoid disappointment, as the saying goes. Please note that for security purposes only those who have booked will be allowed access. [grow_thumb image=”http://telecareaware.com/wp-content/uploads/2013/07/1-s2.0-S1471489212001993-gr3.jpg” thumb_width=”200″ /]Swiss company Sensimed Triggerfish (a most un-Swiss name!) has developed a soft contact lens for long-term (up to 24 hours) active measurement of intra-ocular pressure, a key indicator of glaucoma. Within the lens are small gauges and a transmitter which sends an output signal to a larger antenna affixed to a bandage worn around the eye. This antenna is then cable-connected to a recorder. From the recorder, the data is downloaded to the practitioner’s computer via Bluetooth. In ‘restricted commercial stage’ in CE-mark countries; submitted for 510(k) review to FDA but not yet approved in the US. Short article in ApplySci Discoveries; remarkably detailed MedGadget interview with Sensimed’s Chief Medical Officer Dr. René Goedkoop; Acta Ophthalmologica abstract. Website. Hat tip to our Contributing Editor and TANN Ireland Editor Toni Bunting. The other (and darker) side of how many live out the last years of their lives and the poor (but expensive) quality of care will be televised tonight in the US. PBS’ Frontline will air what is termed in Forbes a ‘powerful exposé’, Life and Death in Assisted Living, premiering Tuesday 30 July at 10 pm Eastern Time. It focuses on major problems in assisted living housing, especially at market leader Emeritus. For our many readers who cannot view PBS, the ProPublica investigative journalism group who worked on this series is also publishing a series online with the same title over the next few days and as a Kindle e-book. One case taken up is a woman with advanced dementia and chronic medical conditions who would have been previously in a nursing home or skilled nursing facility (SNF). Your Editor noted that assisted living was developed as an alternative (see next article) to nursing homes in the late 1980s, ironically by the founder of Emeritus who is no longer with the company. LeadingAge, the association representing US non-profit aging services providers (AL, SNF, home care) and the US branch of IAHSA, has wisely prepared a heads-up for members and press talking points differentiating themselves from for-profit operators like Emeritus, starting with “The Not-for-Profit Difference: Unlike for-profit communities, the leadership at our organization does not “push to fill facilities and maximize revenues.” We are not driven by bottom lines.” On point advice on talking to the press here including a communications lifeline from the association. In the US, the ‘Green House Project’ model has made tremendous progress in developing homes for older adults as an alternative to nursing homes. A ‘design for living’ for 10-12 residents, a Green House is a home-like model built from the ground up with private rooms, bathrooms and community living. Currently 260 homes are open or under development across 32 states. From their website, the intent is for “Those who live in, work in, and care about a Green House [home] share the duty to foster the emergence of late-life development within the daily life they create together.” The care ratio is also much higher; care teams are organized on self-managed work teams to care for the mostly high acuity residents (including dementia). Yet costs, according to NPR, are about the same as the median for nursing homes nationally (many residents are on Medicaid) and in quality of life, it respects residents habits, privacy with the outcome that it supports residents longer in a level of independence. The Green House concept came from the work of Bill Thomas MD, a geriatrician who also developed the Eden Alternative and frequently writes on ChangingAging.org. The news is the backing of the Green House Project by the prestigious and well-funded Robert Wood Johnson Foundation and NCB Capital Partners. The Project provides the model and guidance to independent organizations for organization, implementation and certification of these homes. MedCityNews was wowed by it (Wall Street Journal link does not work, however). See the video from RWJF on what they saw as ‘a catalyst for significant social change’. Green House Project website RWJF page on their support of this ‘force multiplier’. What if you added non-intrusive health tech to these homes? The opportunities could be as varied as the ELSI Smart Floors and alert system for safety (Charles)…fitness bracelets/wearables to monitor basic vitals and ADL/activity (Jawbone, Misfit, AFrame)…biosensor ‘tattoos’ (Toni). Tablet/PC based socialization/brain stimulation (GeriJoy, GrandCare, It’s Never 2 Late). Could this humane environment move to a higher level with a touch of tech? 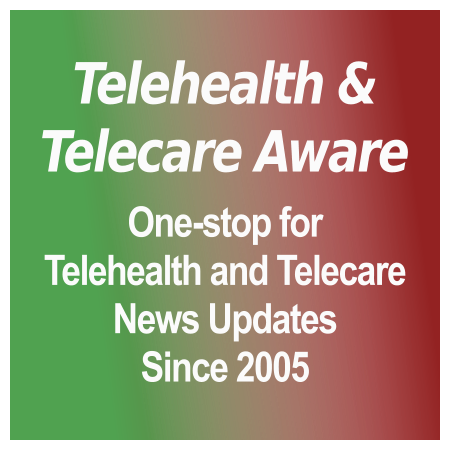 The July Telecare LIN newsletter has been published and is available for download here. This month Mike has two short items on the Kings Fund congress earlier in the month and the transfer of 3ML from DH to NHS England plus the usual monthly round up of news with the top item being O2’s pull out from telecare and telehealth. [grow_thumb image=”http://telecareaware.com/wp-content/uploads/2013/07/biosensor-tattoo.jpg” thumb_width=”150″ /]A new biosensor, worn on the skin like a temporary tattoo, provides an early warning to athletes that energy stores in their muscles are running low. The device works by measuring lactate levels in sweat, which allows athletes to evaluate their workouts and adjust the level of intensity. Reported in the current issue of Analytical Chemistry (subscription required), tests on 10 human volunteers have shown that the sensor can continuously measure real-time lactate levels in sweat during exercise. This method of monitoring has clear benefits, as lactate is usually measured using blood samples which are not only invasive but also require frequent breaks in a workout session to collect. Research on the biosensor tattoo began in the Laboratory for Nanobioelectronics at the University of California, San Diego (UCSD) – see previous TTA item ‘A tattoo sensor to delight or scare kiddies’ covered by TTA’s Editor In Chief, Donna Cusano. Since then the venture has expanded into a commercial company, Electrozyme, which hopes to begin offering the technology to consumers by 2015. This development has got quite a bit of coverage and you can read more at Mashable, The Engineer, MobiHealthNews, New Scientist and the Los Angeles Times. The alpha version of the CDEC Open Health Data Platform offers a tantalising glimpse into what big data can do to improve healthcare. This site uses data from sources like the Health and Social Care Information Centre (HSCIC) and shows how it can be turned into visualisations and analysis to answer specific health-related questions. The initial release, which focuses on a small number of datasets including data about GP prescriptions and diabetes prevalence to show the extent of diabetes treatment in the UK, is a request for comment from the UK innovator community. Specifically sought are views on functionality to include and the future data sets to incorporate. The outline business case for developing the tool suggests potentially many profitable opportunities particularly for micro-enterprises and SMEs. An extremely exciting venture, much to be encouraged. [grow_thumb image=”http://telecareaware.com/wp-content/uploads/2013/07/headeriwatchfinal.jpg” thumb_width=”200″ /]Today’s disclosure provides Apple-ologists with a major ‘what does this mean’ field day. The exec on the right no longer is on the executive team of the man on the left. On the right, Bob Mansfield, former SVP Technologies; on the left, CEO Tim Cook. AllThingsD last night (US Pacific Time) reported and confirmed that the early Sunday removal of Mr. Mansfield from the website, uncovered by the appropriately named MacRumors, meant precisely that. The ‘special projects’ assignment is usually a face-saver until the contract runs out. We’ve gleaned some trouble in AppleLand on the odd reiteration of their eHealthy moves but slow progress on the iWatch [TTA 20 July]. It turns out that Mr. Mansfield had already announced his retirement from Apple in last year, but after some internal controversy was persuaded to return in October 2012 with a major title and compensation as head of Technologies until 2014. In this Editor’s experience, these lurebacks never turn out well even when beaucoup bucks are in the mix. We will leave it to the Apple-ologists to figure out the permutations and emanations. Echoing last week’s “the world has moved on” post on the WSD, the 3G Doctor (David Doherty) has an excellent opinion piece on how AGE UK should spend the money given to it by Google for making it to the final six in the Global Impact Challenge that supports British non-profits using technology to tackle tough problems. Elsewhere on his site he has an interesting take too on the reasons behind O2’s announcement last week. Just tripped over this interesting item by Dana Pirvu on the Epstein Becker website favourably contrasting the EU approach to regulating telehealth with the US approach: well written and concise…and nice to see that Europe is ahead in this area. It was posted in April but still seems very relevant. There’s no indication of price or the difficulty of installation; one presumes it would be best suited for hospitals and residential care establishments as a permanent installation. There’s also no indication of sensitivity and the danger of false alerts – it’s clearly got to be pretty sensitive to pickup changes in the capacitance of a floor so false alerts is a topic I’d want to explore before making an investment. That said, it looks to be a very exciting development, that does not require users to wear devices, cannot be fiddled with or switched off by users and, sadly equally important, cannot easily be tampered with by cleaning staff or require regular replacement (as opposed for example to bed sensors). There would also seem to be the benefit that the output could be used for ADL (activities of daily living) monitoring too (though there is no mention of equipment that this Finnish company provides that could do that). intruder and flood detection systems. This seems a most exciting addition to the array of sensors available, particularly because it requires nothing to be worn and cannot easily be disabled or wear out. Exhibit #1: FierceHealthIT summarizes five big ones out of a 51-page Government Accountability Office (GAO) report focusing on the inefficiency of agency IT initiatives–just in healthcare. DoD-VA’s Federal Health Care Center (FHCC). Opened in 2010 as a joint facility under a single authority line, but somehow none of the IT capabilities were up and running when the doors opened. ‘Jake, it’s ChiTown.’ Only $122 million. DoD’s own EHR, AHLTA (no VistA–that’s VA’s) still doesn’t work right; speed, usability and availability all problematic. A mere $2 billion over 13 years.